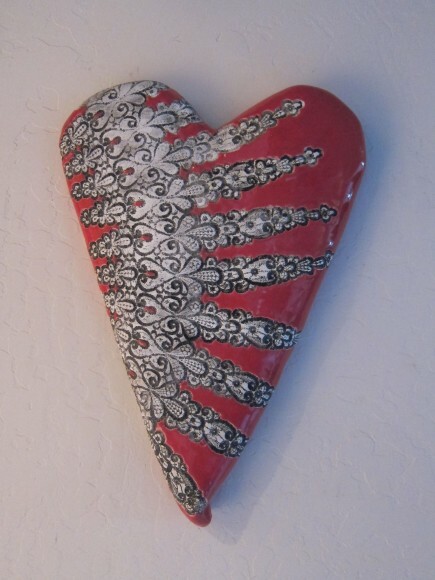 There will be a variety of HEARTS available at the gallery in February… as well as new art by fourteen artists. You’ll find items like this hand-built, clay heart that has been impressed with antique lace, highlighted with a black wash and then glazed. 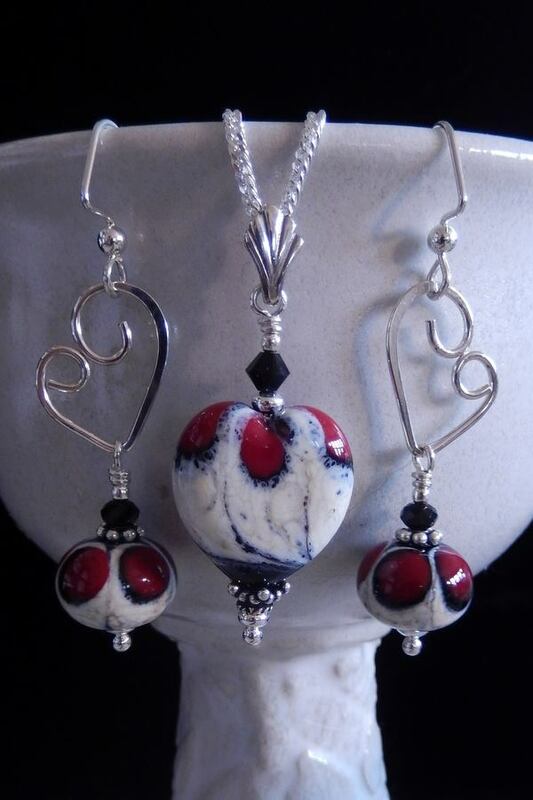 By clay artist Cheryl Kempner. 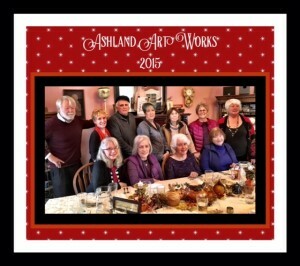 Four jewelry artists – Elin, Cheryl, Annette, and Lorene – will have wonderful items for your sweetheart. Plus, we’ll just be back from resting and rejuvenating in January. Come meet the artists and see what we’ve been up to! Fused glass jewelry by Annette Trujillo.